Hi friends! I hope you are all well. I'm doing so-so. I hurt my sides (I think I bruised a rib on the left side) a couple weeks ago coughing and I irritated it getting ready for and at the kids's birthday party. I spent Sunday barely able to move, it was awful. I told Dustin we can have a Father's Day re-do this weekend. I'm feeling a bit better now after days of ice. heat, and extra strength Tylenol. But I still can't pick things up or bend over which is SO hard with two small children. My coughing has gotten better but I still have coughing fits which is horrible with the side pain. That's my update. And since I don't like posts without pictures, here's a card I made for a call a while back that wasn't picked up. I think the idea is fun. The California stamp is from Sweet Stamp Shop. I used Basic Grey paper, some mini alpha stickers, and Blueberry Divine Twine. very cute card-try to take it easy as much as possible and let those sides rest. cute!! i noticed you had california on there, so i went on your blogger profile and realized we are both living in the same city. lol! hello neighbor! 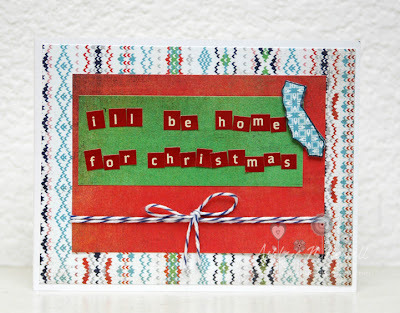 Super cute Christmas card! Hope you feel better soon! 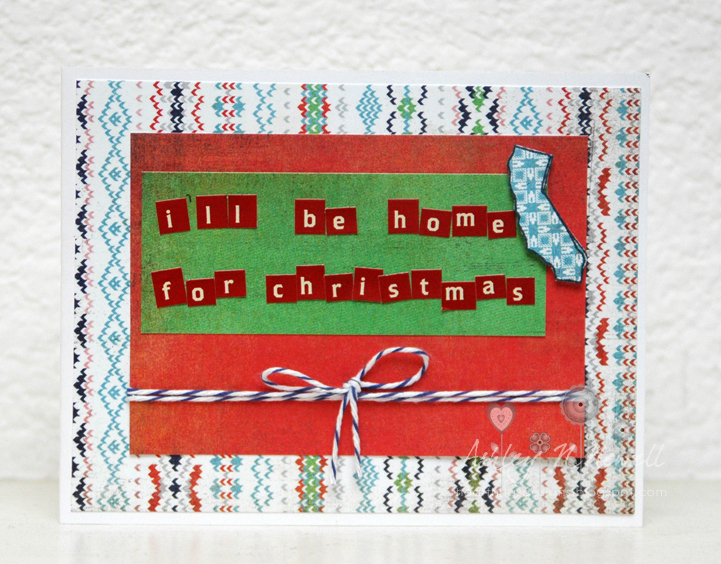 SUPER cute Christmas card--love the state in the corner! So sorry you are feeling bad still! I wish I could make you all better! Get rest:) MISS ya!